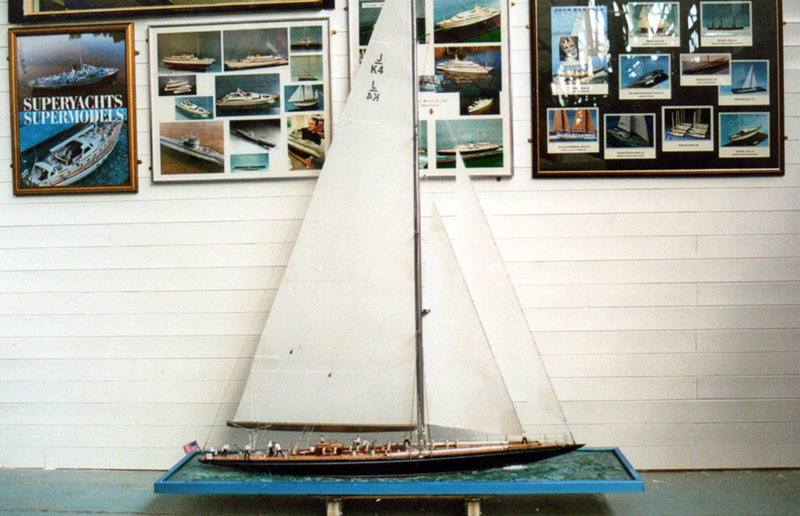 A detailed 1:20 scale model of the Whitbread Round the World Race yacht Maiden, designed by Bruce Farr and modelled by J.Bertola. 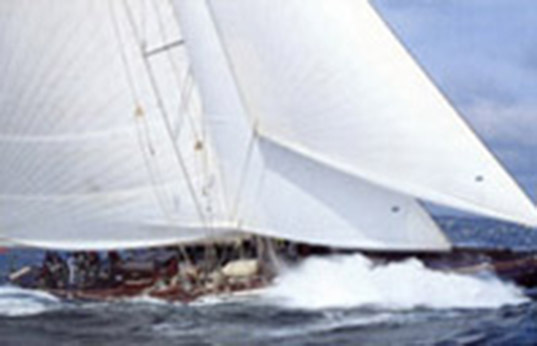 With aluminium mast and boom, battened sails, standing and rigging and deck details including dock rails, winches, aft steering position with two wheels, life buoys, radar aerial and many other details. 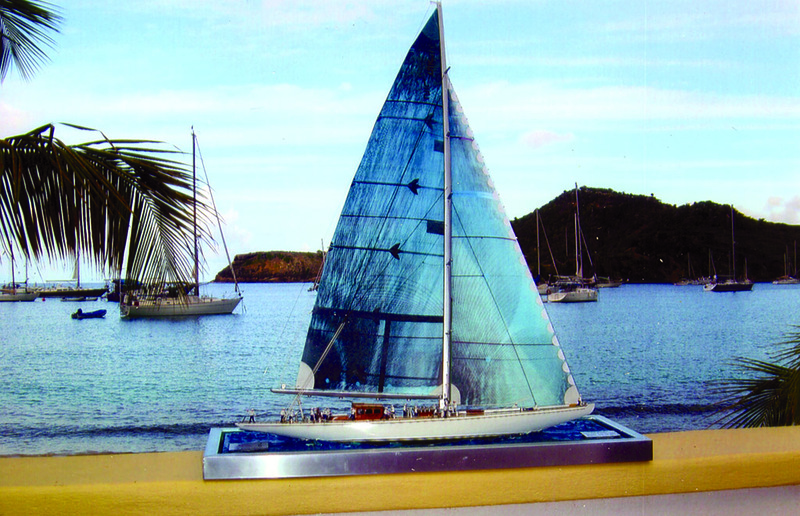 Finished in brown, white and varnish, mounted on a painted and moulded seascape. 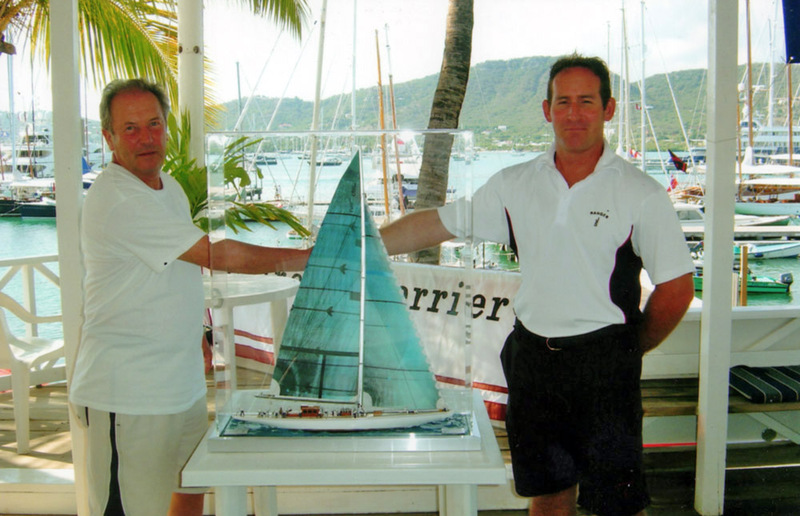 1.72 scale model of Ranger, with John Bertola Model maker on the left and Ben Cameron, the Captain. 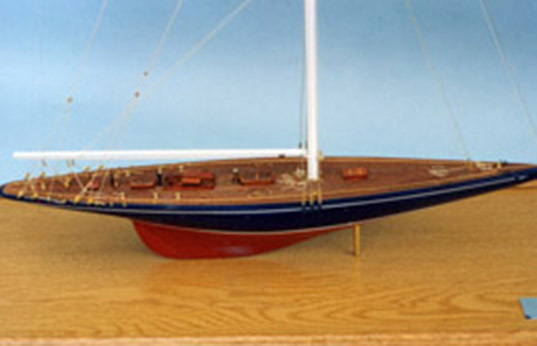 1.80 scale model of Endeavour.